At least 21 children and two adults were injured Saturday when a stairwell and wooden platform collapsed at an indoor parkour in Barrio Logan, according to the San Diego Fire-Rescue Department. The accident was reported at 7:40 p.m. at Vault PK on the 1600 block of Main Street near Sigsbee Street where it shared a warehouse with an indoor paintball park and a CrossFit gym. 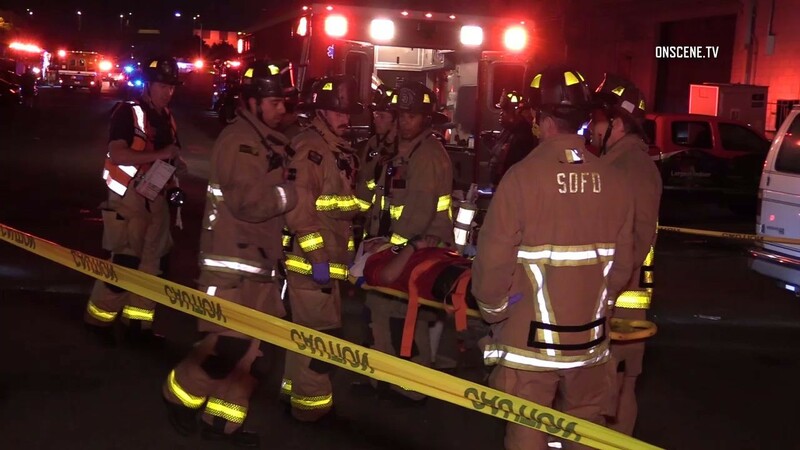 Some of the patients were above the 10-by-30-foot platform that was 10 feet above ground and some were below it when one end of the platform gave way and people fell onto each other, SDFRD spokesman Jose Ysea told City News Service. Two women, ages 72 and 46, were among the first to be taken to hospitals. Brizendine was one of the parents at the scene who helped rescue the 72-year-old woman, whom he said suffered the most serious injury, possibly breaking her leg. There could be other children injured whose parents took them to hospitals, he said. “It could have been so much worse,” Ysea said. The business closed for the night and investigators were working inside to determine the cause of the collapse, he said.